When Scottsdale business owners want to ensure the productivity and longevity of every aspect of their companies, they often choose to hire workers who can assist in the overall process. Owners who hire site managers may be assured that their companies’ buildings will be properly looked after and that any structural issues will be immediately addressed. Many times, owners encourage these managers to rely on whatever methods are necessary to protect their buildings from significant structural compromise. This confidence may encourage managers to take on a commercial roof maintenance contract that will allow Scottsdale contractors to regularly inspect a roof’s surface and take preventative measures to safeguard against damage that lead to expensive repairs in the future. Choosing a preventative maintenance program also helps owners and managers learn about what kinds of elements can compromise their roof’s integrity. 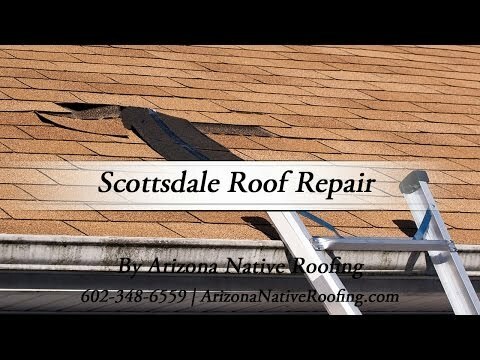 Scottsdale roofing professionals may not be aware that things like algae growth, mold, hail, and even snow can cause a roof to suffer costly structural damage. An expert Scottsdale roof contractor can work with owners and managers and help them formulate a plan of action to prevent such compromise and help business owners continue to be successful with the assurance that their companies will not be at risk of losing money or suffering the loss of property because of a damaged roof. If you don’t have a preferred commercial roofing company for your property, it may be time to consider hiring a professional Scottsdale roofing company to provide preventative maintenance for your building. Preventative services can help save money. Faulty roofs often fail to keep out heat and cold, for example. An apartment complex owner could end up spending more on energy costs because his or her roof is energy inefficient. On the other hand, choosing a preventative roof maintenance program can identify the weaknesses in the roof and allow owners to fix these minor issues, thus saving themselves and their apartment complex money in the long run.